There are only 30 of these left in the WORLD — and it was part of a controversial effort to save them. One of the last remaining vaquita porpoises has died — and sadly, it was the people trying to save the species who were largely responsible. 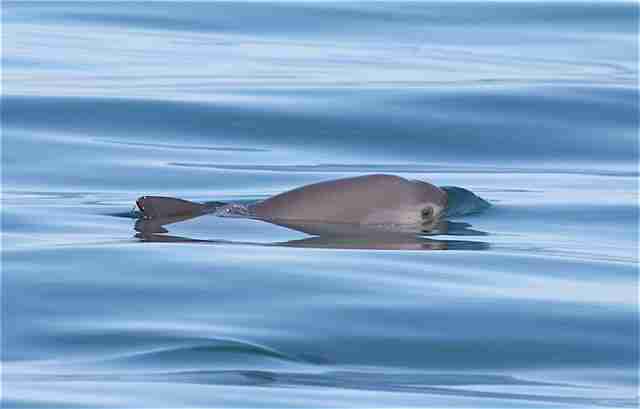 The vaquita, an animal who lives in the Sea of Cortez in the Upper Gulf of California, near Mexico, is the smallest and most endangered porpoise. Earlier this year, the International Committee for the Recovery of the Vaquita (CIRVA) announced that there are only 30 vaquita porpoises left, making them the most endangered cetacean in the world. The main threat to vaquitas has been gillnets, a type of long fishing net. When fishermen release their nets into the ocean, vaquitas get tangled inside of them and drown. 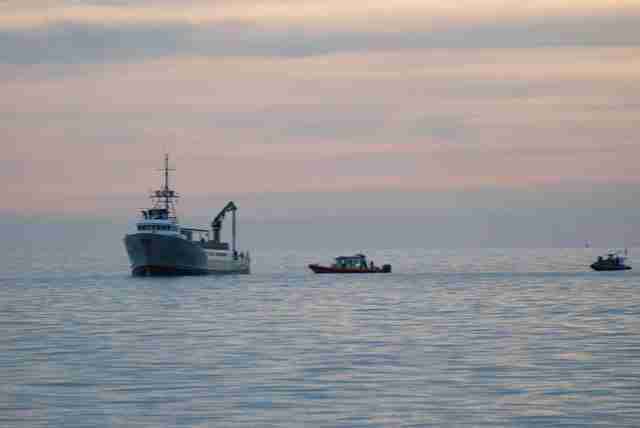 Over the weekend, a group of scientists working with VaquitaCPR, a program launched to try and save the highly endangered marine mammal, captured a female vaquita so they could move her — as well as other vaquitas — to a long-term facility in San Felipe, Mexico. 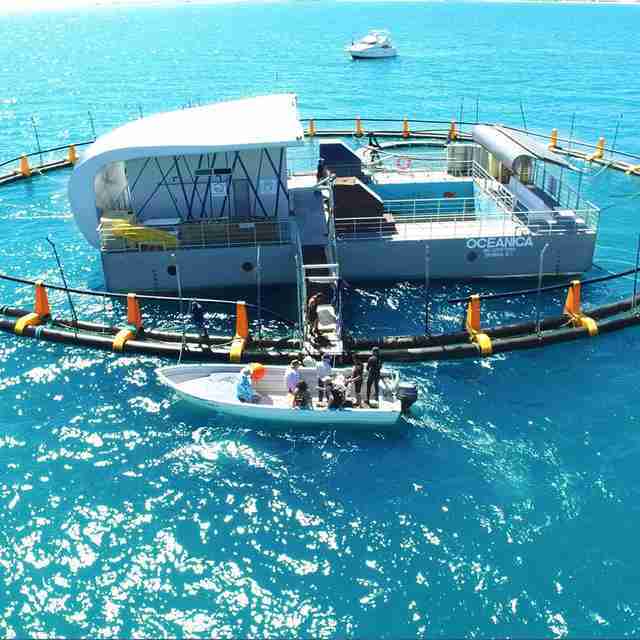 The ultimate goal of VaquitaCPR was to keep the vaquitas in a sanctuary of sorts until gillnets were completely eliminated in the Sea of Cortez. 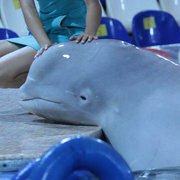 But the vaquita, who was of reproductive age, was highly stressed throughout the capture process, and she ended up dying. In a statement, VaquitaCPR — which includes several zoos and aquariums, including SeaWorld, as partners — expressed its regret, and argued that it had done everything it could to prevent the female vaquita’s death. "Everyone in the VaquitaCPR team is heartbroken by the loss of the vaquita," David Bader, a spokesperson for VaquitaCPR, told The Dodo. "We know that everyone will join us in offering their condolences to the team that has been working so hard to save this species." "The conservation efforts lead up to this point in time have not been able to change the downward trajectory of the population," Bader added. "Legal and Illegal fisheries have contributed to this problem and all efforts made to remove the threats have been unsuccessful. This effort made by the international scientific community was not made lightly. We knew that the risks were high but standing by and watching a species go extinct was unacceptable. 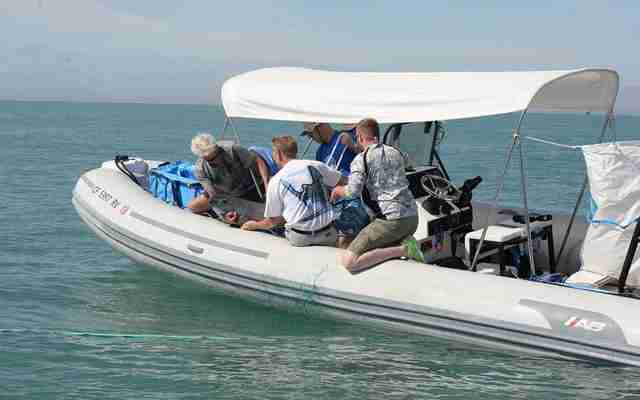 This was determined by an international group of scientific experts ​to be the best chance at saving the vaquita." Yet animal welfare advocates believe that VaquitaCPR shouldn’t have captured any vaquitas in the first place, since the animals don’t respond well to the stress of capture — and are calling for an immediate halt of the program. 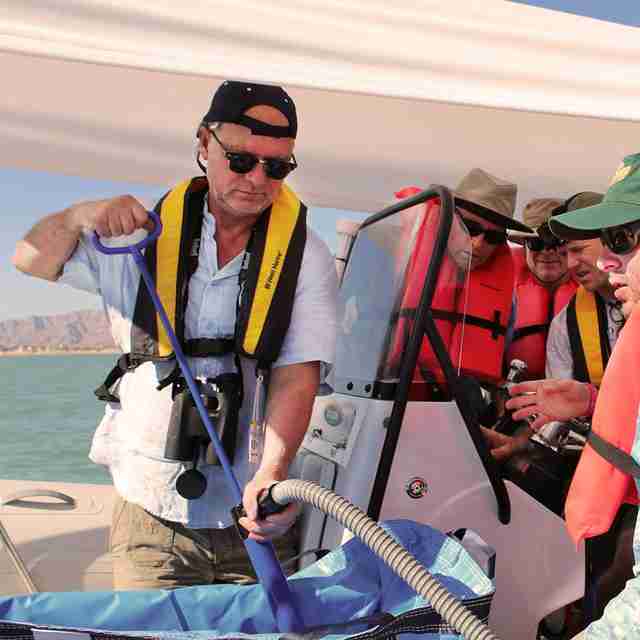 “AWI [Animal Welfare Institute] has been consistent in stating to a number of those involved in the program that while we understood the critical situation of the species, and the intentions behind the CPR program, we were concerned about the likely success of the effort given the shy and fragile nature of the vaquita,” Kate O’Connell, marine wildlife consultant at AWI, told The Dodo. "They can’t say they were not warned, and if they continue this foolhardy plan, another Vaquita will die," Paul Watson, founder of Sea Shepherd Conservation Society, said about the VaquitaCPR's plan. "This team just contributed to the possible extinction of this extremely rare endangered species." 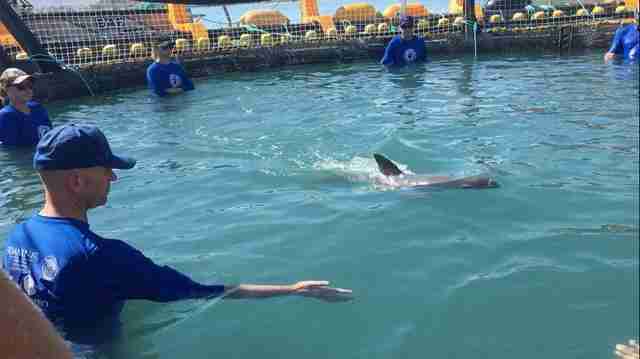 "We warned them that the animals were shy, elusive and easily stressed," Watson added, noting that most of the scientists on the VaquitaCPR team were working from within the captivity industry. "The death of this vaquita and the stress recently inflicted to a vaquita calf has most likely stressed the entire remaining population." 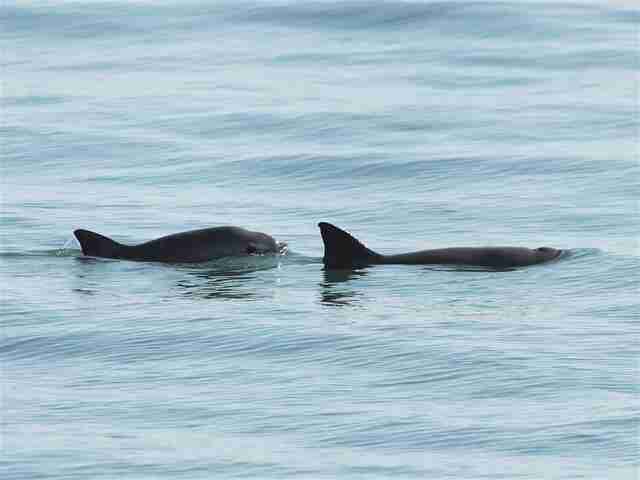 Last month, VaquitaCPR captured a 6-month-old vaquita, but it released the young animal after it showed signs of life-threatening stress, according to a news source. Instead of capturing and relocating vaquitas, AWI believes that the Mexican government needs to be much more forceful in banning gillnet fishing in the Sea of Cortez. To help save the last remaining vaquitas, AWI suggests boycotting Mexican shrimp and not supporting businesses that sell seafood caught with gillnets in Mexico. For more information about how you can help, go to AWI’s website. You can also help by making a donation to Sea Shepherd Conservation Society, which is actively patrolling the Sea of Cortez for illegal gillnet fishing activity. UPDATE 11/8/2017: Following the death of a adult female vaquita, as well as the possible loss of a calf, VaquitaCPR has decided to halt its operation in the Sea of Cortez. “There have been no additional attempts to rescue a vaquita porpoise since November 4th and there will not be future attempts during the remaining period of the VaquitaCPR field operations,” Steve Walker, communications advisor with the National Marine Mammal Foundation (NMMF), told CBS8.com.